The Garage first opened for business in 2000. We are an automotive repair center and tire dealer that focuses on customer trust. We are located at 171 West Montauk Highway in Hampton Bays, NY and faithfully serve customers from Hampton Bays, as well as our surrounding cities including Riverhead and West Hampton. As a tire dealer, we tire brands such as Bridgestone, Firestone, and Fuzion. Our large, 9-bay facility is a full service inspection center with up-to-date equipment so our mechanics can service your vehicle quickly and accurately. We are open Monday through Friday from 8:00 AM – 5:00 PM and Saturday from 8:00 AM – 3:00 PM. 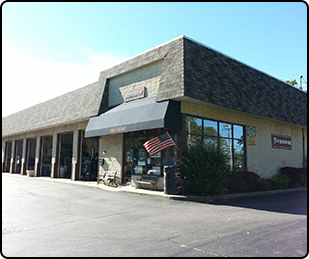 Stop in and visit us in Hampton Bays, NY at The Garage—your one-stop repair shop!